Alyssa Rosenberg at the Washington Post offers a five-part series on the depiction of the police in popular culture. From “Dragnet” to “Dirty Harry” to “Die Hard,” Hollywood’s police stories have reinforced myths about cops and the work of policing — ideas that resonate painfully today as police-involved shootings and questions about race and community relations wrack U.S. cities and play a starring role in the presidential election. The police story is one of the elemental dramas of American popular culture, the place we face down whatever crimes frighten us most in a given era and grapple with what we want from the cops who are supposed to stop those crimes. 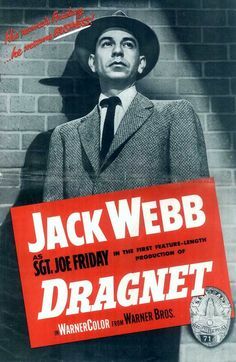 “Dragnet’s” Joe Friday bolstered public faith in law and order in the ’50s. “Dirty Harry” Callahan stoked terror and rage about the violent crime wave that began in the ’60s. And John McClane of “Die Hard” awed audiences when he singlehandedly saved a whole office tower from ruthless criminals in the 1980s. If these were only fantasies, they would still be powerful. But the ideas that popular culture embeds in the public consciousness about policing remain after the story is over. This five-part series examines the evolving relationship between police officers and the communities they are supposed to serve; the way Hollywood shapes our expectations for shootings by police; the entertainment industry’s embrace of a more violent style of policing during the drug war; and the changing composition of police forces in an increasingly diverse society. Because it is not possible to understand the stories Hollywood tells about the police without looking back at the industry’s own vexed relationship with the law, this series begins by exploring how police pressure, government regulation and censorship helped mold pop culture’s stories about the police.